When the ethical arm of FIFA decides to lift its withered self from slumber, a sense of the unusual is in the air. In many ways, the committee members had little choice. The external forces – prosecuting teams in both the US and Switzerland – had become so intrusive and determined, that a response was needed on the corruption charges that have spread through the organisation like an algae bloom. The FIFA ethics committee decided to get down and busy in issuing temporary bans – initially 90 days – on Sepp Blatter, Michel Platini and Jérôme Valcke. Ex-FIFA Vice-President, Chung Moong-joon, was another casualty, receiving a ban for six years. The hue surrounding Blatter and Platini had darkened after allegations of a £1.3m criminal payment made by the FIFA President to UEFA’s number one. It was then further revealed to the Telegraph Sport that Blatter and Platini may actually face life bans as full misconduct proceedings against the two take place (The Telegraph, Oct 9). This changes the nature of the FIFA President contest considerably, knocking out an overwhelmingly potential favourite ahead of the October 26deadline for potential candidates. Platini may well have been a stellar footballer in his prime, deft and graceful on the field, but he has fallen down to earth in the all consuming muck of football administration. The only resort he has now, along with his co-charged, is the Court of Arbitration for Sport, or the appeals committee of FIFA itself. With all the optimism on the part of the anti-corruption brigade, a note of caution, if not outright scepticism, needs to be sounded. Institutional diseases are hard to remove, and antidotes have to be dramatic. When they are issued from within the organisation, a degree of ineffectualness should be expected. And things start looking absurd when large pots such as the International Olympic Committee start calling the FIFA kettle black. “Enough is enough,” moralised the IOC President, Thomas Bach. “FIFA must realise that this is now about more than just a list of candidates. This is also a structural problem and will not be solved simply by the election of a new president” (BBC News, Oct 8). Within the bureaucratic halls of football governance, institutional fall in and resistance is bound to happen. Take, for instance, the response from UEFA regarding its stance on Platini. Europe’s governing body had “full confidence” in their current president and “saw no need” for a replacement (BBC News, Oct 8). Those officials see few problems in the wings. Then comes the issue of whether the ethics investigation will throw up anything worth writing home about. Consider, for instance, that FIFA’s fudging head judge, Hans-Joachim Eckert, will be the one having Blatter and Platini before him. He is hardly a sterling figure of transparency himself, having been, less a judge than a sterling defender of FIFA’s tainted honour. It was FIFA’s governing ethics committee that decided, after an 18-month investigation by former New York district attorney Michael Garcia into suggestions of corruption behind the award to host the 2022 World Cup to Qatar, or the 2018 tournament to Russia, that any breaches of the rules had been of “very limited scope”. Eckert did a spectacular abridgment of Garcia’s 430-page report, reducing it to a mere 42-page summary of whitewash. Needless to say, it smacked of considerable dilution. “In particular, the effects of these [minor] occurrences on the bidding process as a whole were far from reaching any threshold that would require returning to the bidding process, let alone reopening it” (The Guardian, Nov 13, 2014). The ethics committee refused to release the entire report, citing, naturally, that it would be unethical for the general public to know exactly what was unearthed by Garcia’s plough. Even the vast complex of corruption can have defenders on ethics committees. Despite the burying of the report, the bidding scandal, one that involved former Asian Football Confederation president Mohamed bin Hammam, seemed to be the writing on the wall for FIFA’s very well padded fat cats. Despite the determination on the part of the entire FIFA hierarchy, from Blatter to the body’s own ethics apparatchiks, Garcia’s report found that Hammam did make “several improper payments” to various African football officials, and funnelled $1.2 m to Jack Warner, former FIFA executive committee member. The latest moves have been deemed of such an order that a decision may be made to scrap the February 26extraordinary elective congress. This has the backing of such individuals as Britain’s FIFA vice-president David Gill, and the Football Association itself. 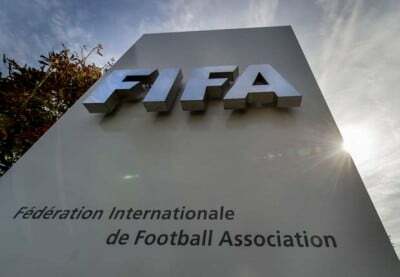 That would essentially place the acting FIFA president Issa Hayatou in charge for a longer period of time, which would still prolong the ancien regime. A new election will enable someone from outside the fold to move in, a person, argues former FA Chairman David Bernstein, who should be of the stature of former athlete Seb Coe, “a man of great reputation”. Letting outsiders in, notably of the scrupulous variety, has never been FIFA’s strong suit but time may be running out.